I’ve been patiently waiting for the temperature to hit the high 50s. That’s perfect running weather for me – not too hot, not too cold. Following my extended winter hibernation, I started running again a couple weeks ago. Last week I ran twice. This week, I’ve already run once and plan to go out on the road today. I have a long way to go to start building up my mileage but I’m patiently taking the steps to get to my goals and what motivates me is having a fantastic place to run. I usually run in Central Park – something about being a part of a motley crew of runners of all ages and levels that can make you feel like going a little faster and a staying out a little longer. 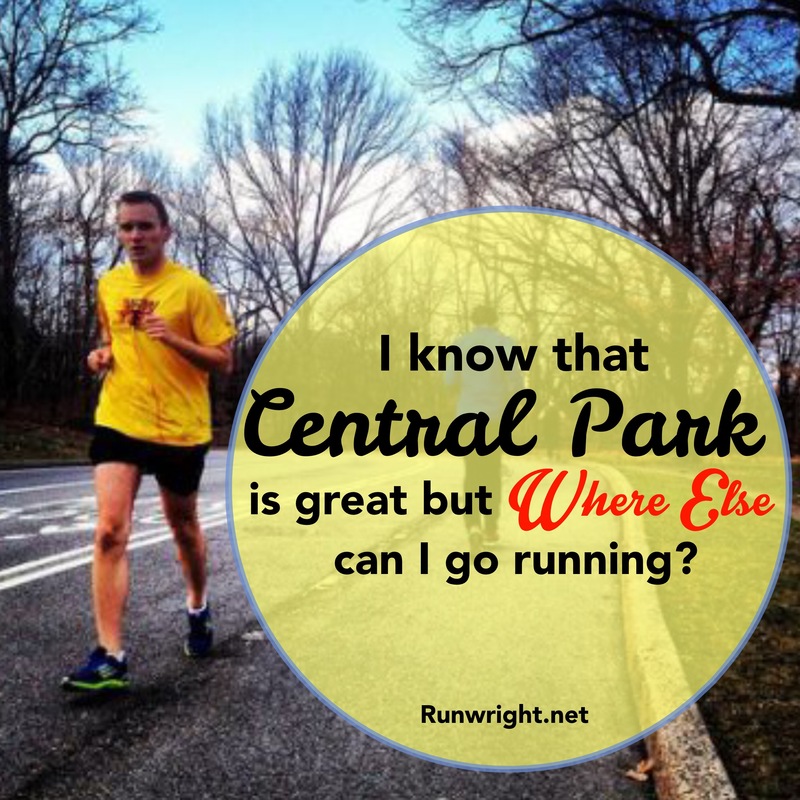 Central Park is one of the best running routes in New York City. The loop is long enough to get a good, solid long run if that’s what you want, there are places to stop if you just want to take a short jog or even sprinting spots if you want to train for speed. There are lots of elevation changes so you can get a full workout (or cry, depending on where you are in your fitness journey). The loop takes you around lots of different sites – the Boathouse, the park, the tennis courts, the lake, views of the East or West side or the towers downtown. Astoria Park: 3 mile run complete with views of the city. I’ve been here before for a bike ride and have always wanted to go back to run. Croton-on-the-Hudson: Strictly speaking, Croton Point is not quite in NYC – it’s in Westchester county but it’s just a quick train ride on the Metro North. Last year, we had an event at this location in the summer and I’ve been thinking about returning for a run. There is a beach, walking trails, hiking trails, camping trails – I am sure I’ll find he perfect place to run. Prospect Park: There’s so much to do here. I’ve been to the park several times but never for a run. I think it’s time to change that. Staten Island Park-to-Park loop. I was over in Staten Island last year and saw a runner I follow on Instagram just randomly running on the street and I’ve been thinking of trying her route ever since then. Williamsburg Bridge to Manhattan Bridge: This particular loop is about 9.5 miles so I’ll have to work my way up to this distance. What are you looking forward to doing in the Spring? Follow my posts on Bloglovin, Instagram, Pinterest and Twitter. Wow! All awesome routes. Hope you get to run all of them. Not at the same time, of course. Lol.